My BFF and I went to the Chicago Quilt Show - it was her first time at a large show. 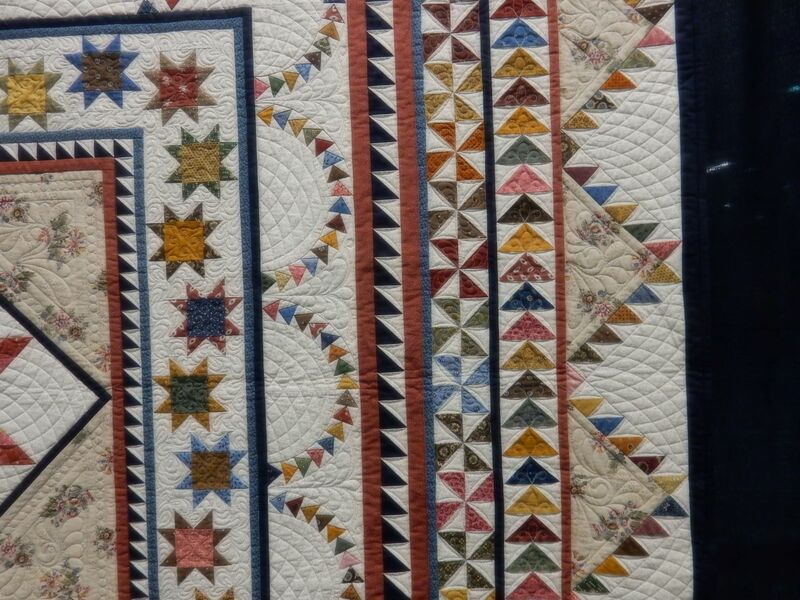 I'm not photographer and did not do justice to these quilts. The work was outstanding. While we were there, supposedly an announcement was put on the website for the Chicago show that the show will not be in Chicago next year. I have not been able to find it. They moved it to Cincinnati for a couple of years and then came back to Chicago. If this is true, I'm so glad I got my BFF there. That's all it will let me load. Will do and posting. 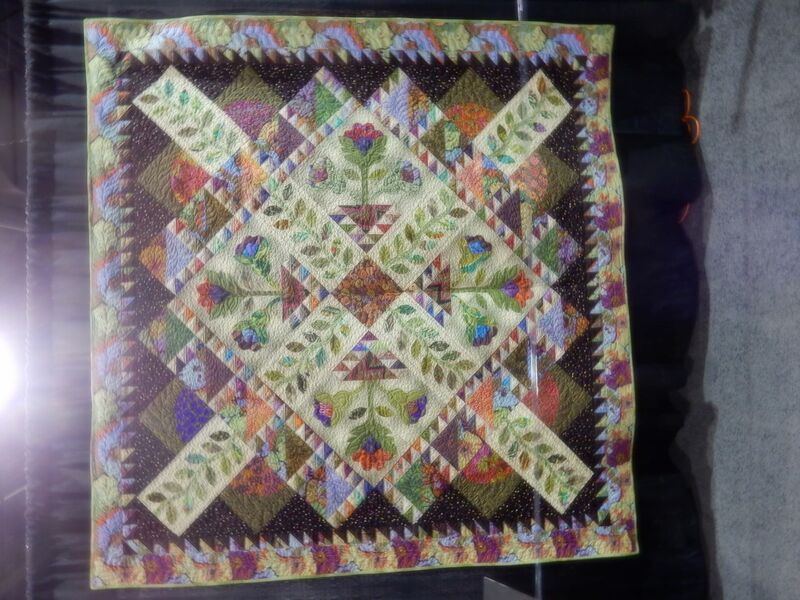 Great quilts but the quilting, outstanding! Awesome quilts! I can only dream about doing something like these. Thanks for sharing. There must have been many, many more that took your breath away. Thanks for sharing!! I was not able to come to the show this year. I have rarely missed it since the beginning in Chicago. It is a wonderful show and I am sad to see it move on. Last edited by Teen; 03-30-2019 at 06:23 PM. Loved the pictures. Thanks much. Thanks for the show! Truly amazing quilts! Thanks so much for sharing. 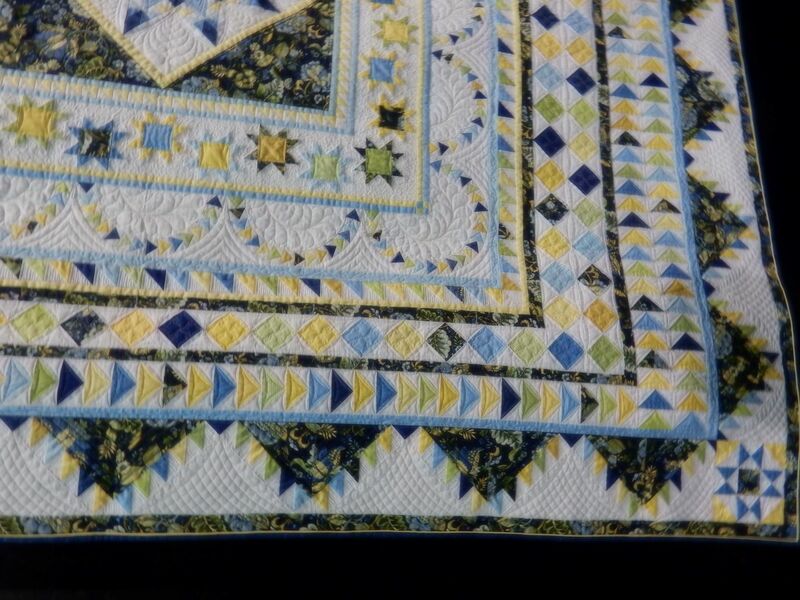 Loved them all and the quilting is so stunning! I’m sorry I missed the show this year. I think seeing such beautiful work is so inspiring. Fantastic quilts for sure. Thanks for sharing. Thank for for sharing these pictures. 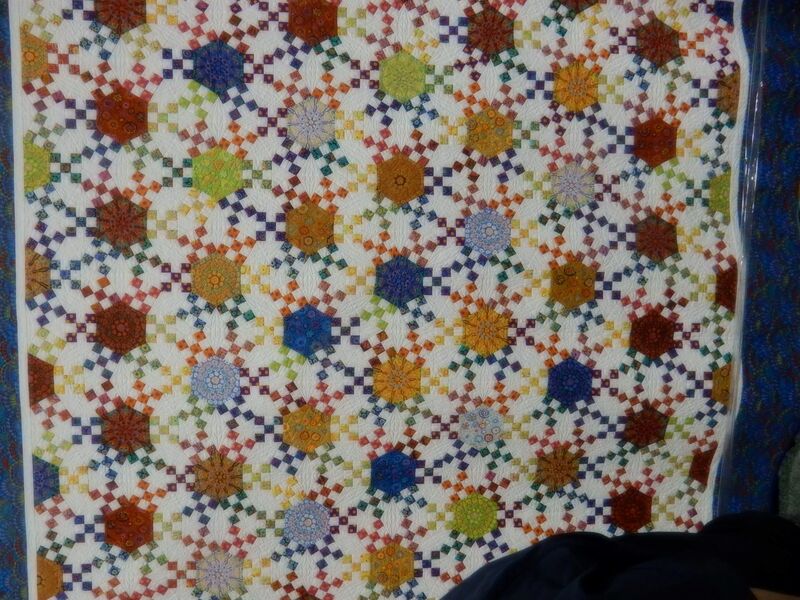 The quilts are truly wonderful. 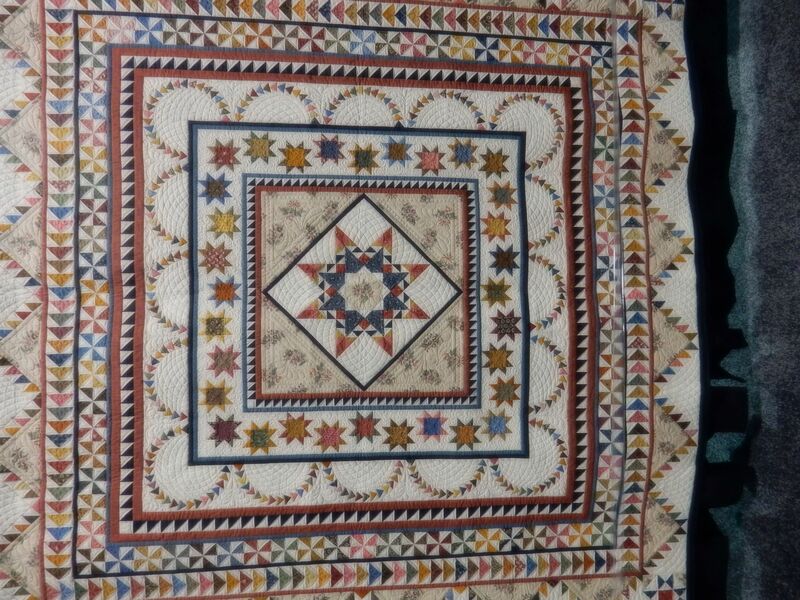 I am taken by the wonderful ruler work quilting in several of them. I also am sorry to see quilt shows close. I also am sad to see the Rocky Mountain Quilt Show in Loveland be closed. Beautiful quilts! Thanks for sharing with us. 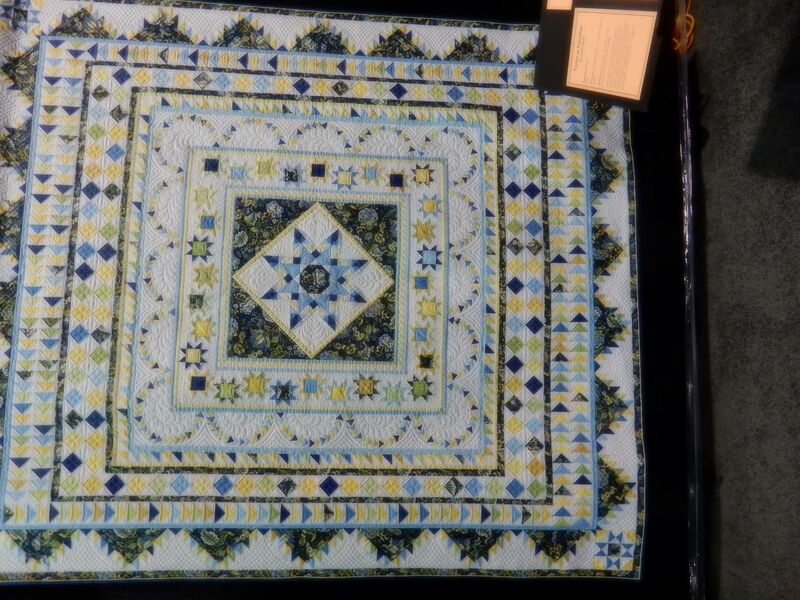 Beautiful quilt show and thank you so much for sharing. I got to go to a quilt show and didn't even leave the house!! I took my BFF to her first quilt show one time too and she was so in awe and enjoyed it so much. 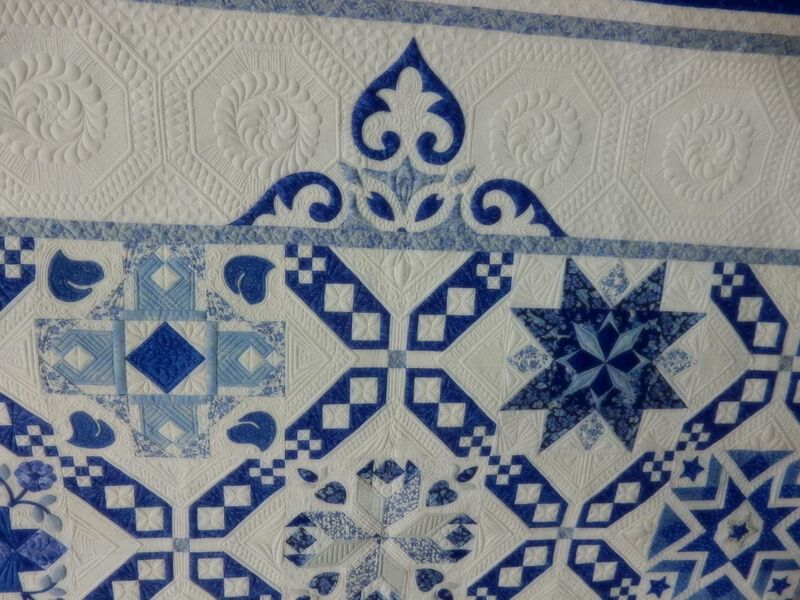 That blue and white quilt is amazing. 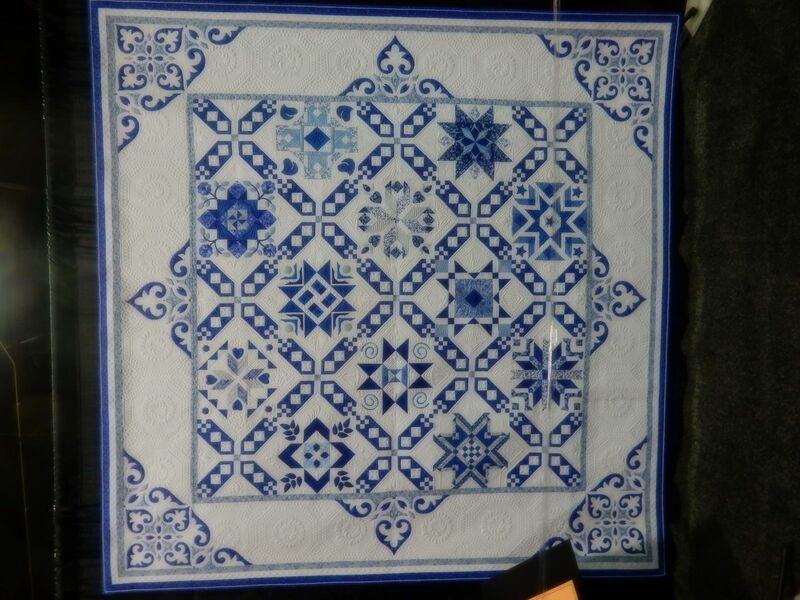 Reminds me of delftware. The quilting on it is fantastic. Is that the one that won BOS or was it the equally amazing art quilt posted right above that fades from yellow to red to purple? Thank you for taking the time to post some pics of the show! Love to see them. Gets me excited for the two shows coming up that I am attending. One is MQX and they always have amazing stuff with all the major quilters (I reverently refer to as the "big dogs") submitting quilts. The other is a local show that only allows guild members to enter. Omg, what wonderful quilts! Thanks for sharing with us. Those are stunning quilts. Thank you for sharing. It’s nice to see things like this even if one is too far away to attend. Isn't that the truth!!! 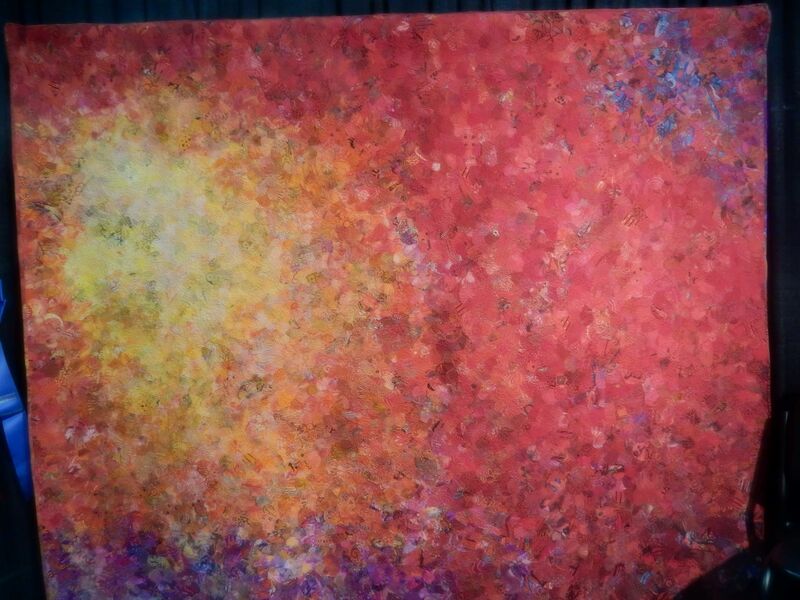 Theirs is Rembrandt and mine is a happy face!! Thanks for sharing with us. 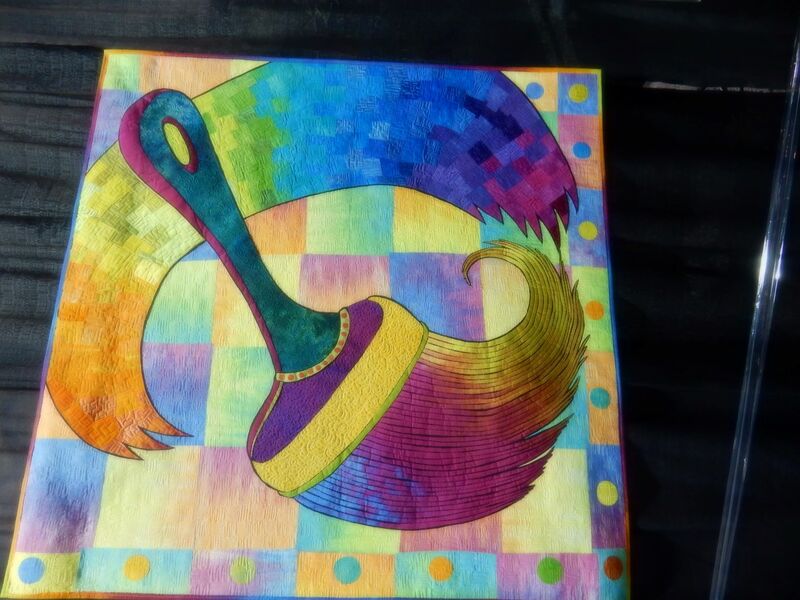 As much as the traditional quilts are "to die for", my vote goes to that last picture of the paint brush. Whomever designed this is a true artist, IMHO. At first glance, looks like simple construction. But upon careful study, this quilt is very complex. So unique ... I love it. Oh my. How lovely! The time, talent, and patience these take is beyond me.